Last week, Faruk Gole, President of ITC Manufacturing, was our honored with the ‘Corporate Sponsor of the Year’ award from a local organization, Buckeyes Beyond the Field. 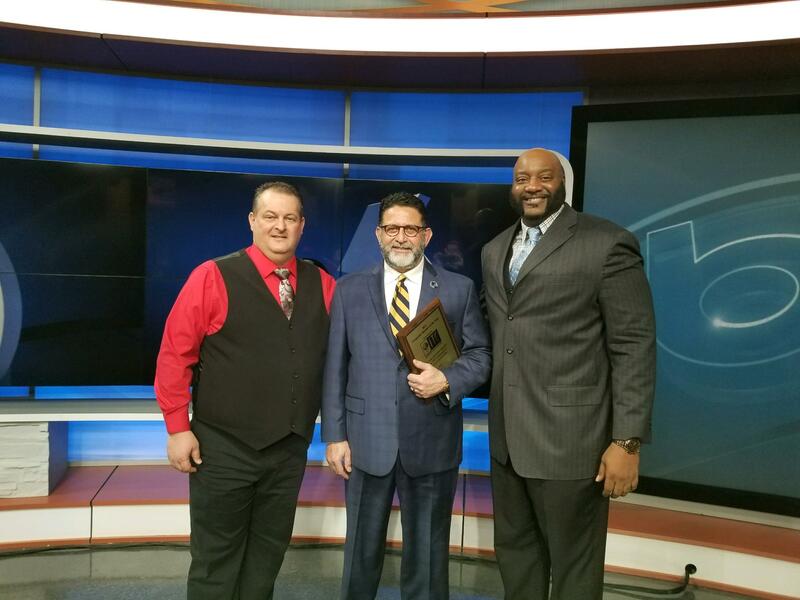 Faruk and ITC were recognized for their compassionate support of the central Ohio community. The US Department of Commerce (DOC) issued a press release that it had sent its report on the Section 232 investigation of steel imports to the President. Read the full statement on #AWPA here: https://www.awpa.org/2018/01/12/section-232-investigation-on-steel-imports-doc-report-sent-to-president/. The holidays are here! And what better way to kick-off the weekend than with a catered lunch to celebrate! 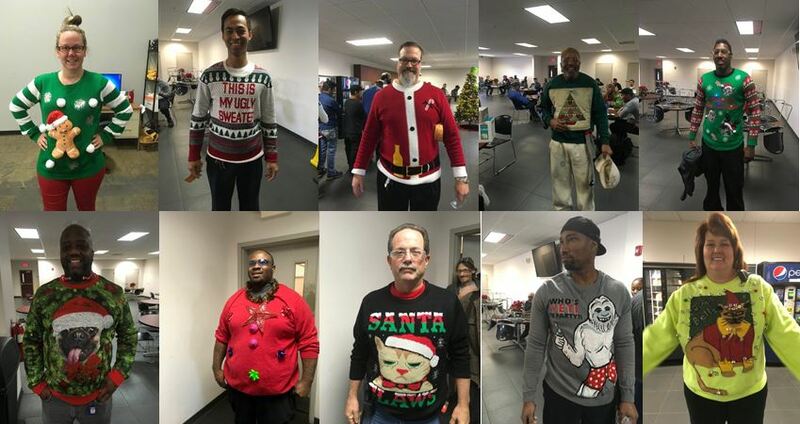 In both our Columbus and Phoenix plants, employees came out, some even in ugly sweaters, to enjoy a hot buffet catered by their favorite local spots, an ugly sweater contest and a raffle drawing where they could win an array of prizes. Everyone loved the food, attire, company and holiday spirit that was shared throughout the event. We hope everyone has a wonderful Christmas and Happy Holidays! 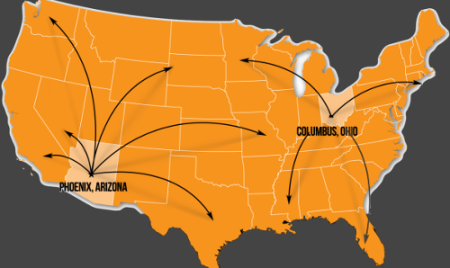 Check out images from the event in both Phoenix and Columbus, below. Christmas came early for ITC families this last Saturday! Santa Claus and his little elf helper took time out of their busy schedule to stop by the Columbus plant and deliver a special gift to all the children. The gifts delivered were personally selected for each child based on their age and gender. To bring in the spirit of the season, families enjoyed the day with holiday music and food for the whole family. Kids had balloons to play with and crayons and coloring books to keep them entertained. 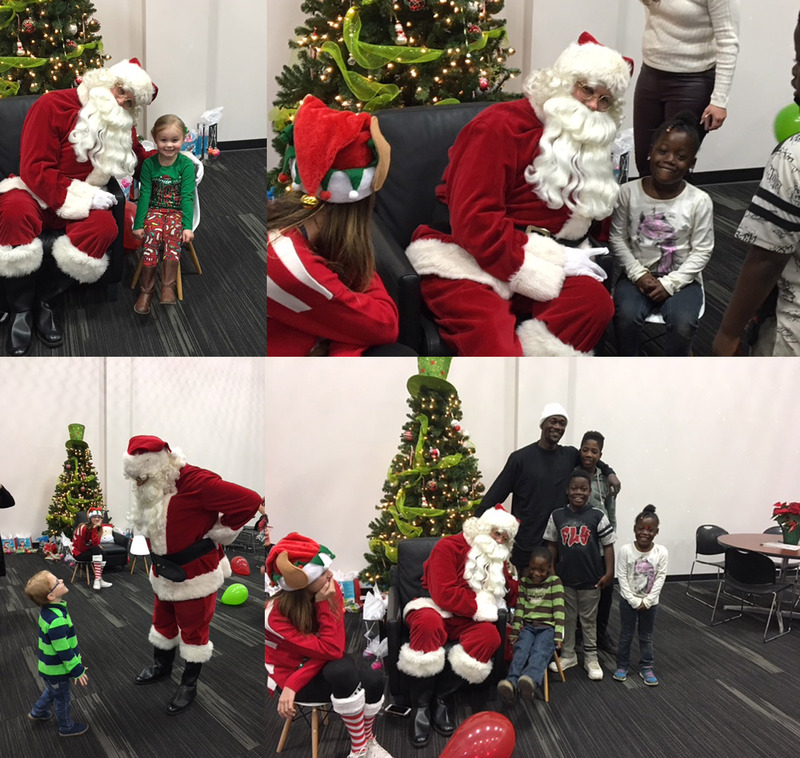 Overall, it was a great day to celebrate the holiday season and bring ITC families together! Merry Christmas and Happy Holidays from ITC!! There is a lot going on in the manufacturing world today. Thanks to the Manufacturing Economy Daily, below are just a few of the latest articles. Full online article here: http://mailview.bulletinmedia.com/mailview.aspx?m=2017120801nam&r=1841312-3070. As part of ITC’s initiative to recognize and honor Veterans, we are proud to highlight Joe Grafe, our ITC Hero who is currently serving! 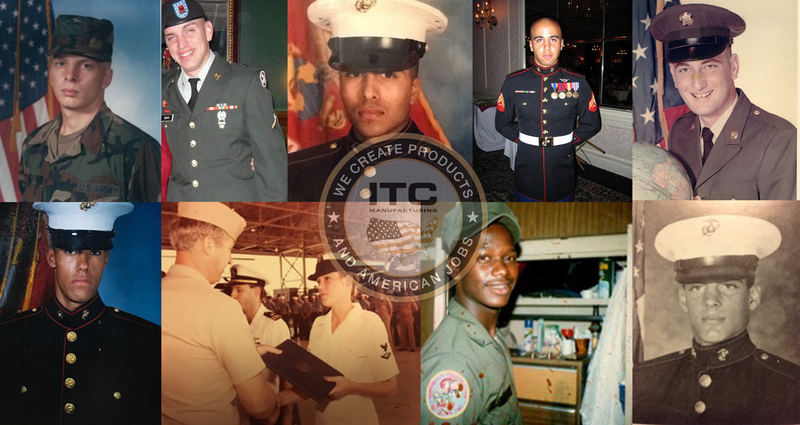 We are so proud of all our ITC heroes who have served and currently serving! Thank you for your service to this great country and dedication to ITC! “We owe all of our Veterans thanks and appreciation for serving our country and protecting our freedoms. Our veterans will always have a special place in our hearts,” said CEO and President, Faruk Gole. Phoenix, Arizona – (Nov. 22, 2017) – International Technical Coatings (ITC Manufacturing), the premier manufacturer of wire mesh products for material handling and fencing today expresses its wealth of gratitude to its heroes who have served and currently serve in the United States Military. Throughout the month of November, ITC Manufacturing employees have been recognized for their accomplishments, experiences and time served in the different branches of the United States Military including the Army, Marines and Navy. Top row, from left to right: Ron Coleman, Joe Grafe, Michael Hernandez, Ray Ray Limbrick, Ron Petty. Bottom row, from left to right: James Walker, Terri Wiggins, George Williams, Tony Winkler. Ronald Coleman, Production Coordinator in Columbus served in the U.S. Army from 1987 through 1989 as an Infantry Scout in the U.S. Army. In addition, Chuck Forsha was recognized for his service from 1973 through 1975 and 1983 through 1989. In Phoenix, both Michael Hernandez, Production Control Specialist and James Walker, Tooling Engineer were recognized for their service in the U.S. Marines. Hernandez worked as Intel and served five combat operations as a Sergeant. Walker worked as a 0311 Infantry Rifleman and served on a combat deployment in Iraq and a tour around Southeast Asia. As a Maintenance Lead, Tony Winkler served a six-year tour where he was stationed at several different bases in the United States and abroad. In addition, Ray Ray Limbrick was recognized for his service from 2001 through 2006. George Williams, Inventory/Shipping Coordinator at ITC’s Columbus plant served four years, including one tour in the Mediterranean as an Equipment Operator (E-O). Terri Wiggins, Shipping Manager in Phoenix served one tour of duty. In addition, Eric Smith was recognized for his service from 2007 through 2011. “ITC has helped me expand in many areas throughout the company. I love its diversity and sense of family,” said Wiggins. Other ITC heroes recognized during the month of November were Ron Petty and Joe Grafe for their service in the Army National Guard. Recently, ITC Manufacturing distributed more than 200 frozen turkeys for the Thanksgiving holiday to all its employees in both Phoenix and Columbus as a way to say thank you. This event happens annually and is one of ITC’s favorite traditions. ITC Manufacturing has been committed to hiring veterans and reservist members for a number of years and is part of the Employer Support of the Guard and Reserve (ESGR). As part of ITC’s initiative to recognize and honor Veterans, we are proud to highlight ITC Moms of Heroes. We had a GREAT day passing out over 200 frozen turkeys to our wonderful employees to enjoy with their families during the Thanksgiving holiday. Thank you to everyone who made this event possible! There were smiles all around and everyone was extremely grateful. As part of ITC’s initiative to recognize and honor Veterans who have served, currently serve and parents of those who serve, we are proud to highlight the first round of ITC Heroes! Thank you for your service!